Just in time for the arrival of snowbirds and all film fans, Mesquite welcomes you to its third annual Best of Fest, an ancillary of Docutah International Documentary Film Festival staged by neighboring Dixie State University. As its name implies, the Mesquite event gleans the very best from the 77 fine films screened at Docutah, and brings them to an even wider audience. The Festival opens with a kick-off, “Lights, Camera, Action” cocktail party at the Eureka Casino Resort on October 5. Eureka’s Community Initiative sponsors the festival in partnership with Docutah. The reception includes a meet and greet with Chris Waddell, 13-time Paralympic Medalist and a showing of his award-winning documentary, “One Revolution.” This event reflects Mesquite’s support of the paralympic long drive golf competition and other events that foster sports participation to all who wish to play. Another top attraction at Best of Fest will no doubt be “Flying the Feathered Edge: The Bob Hoover Project” (link to Youtube video trailer). Nevadans and worldwide aviation enthusiasts are well-acquainted with the name Bob Hoover. Hoover, often proclaimed “the pilot’s pilot,” is a legend at the Reno Air Races. This 90-minute documentary of his remarkable career tells of his many aeronautical achievements and scrapes with destiny. About 20 films covering a gamut of topics of current interest will be shown over the five-day festival. Films will be screened at Mesquite’s Redd Hills Cinema from Tuesday, Oct 6 through Thursday, Oct 8, and at the Mesquite Megaplex, on Wednesday, Oct 7 and Thursday, Oct 8. 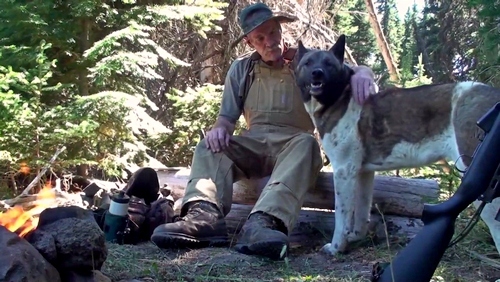 The Big Lonely, one of many outstanding documentaries to be shown at the Mesquite Best of Fest film festival, tells the story of a homeless man struggling to survive in the Oregon wilderness rather than suffer a brutal life on America’s mean streets. Multiple showings allow film lovers to enjoy all the featured documentaries. A poolside VIP Festival Wrap Party concludes the festival on Friday, Oct 9 at the Eureka. Prices for the event are $5 per film, $40 festival pass for all films. The Kick-Off event pass for Oct 5 is $20, and a $50 Patron Pass provides admission to all films plus the VIP Wrap Party. 100% of ticket sales go to benefit Mesquite Reads, a literacy programs that aims to assure that all Mesquite children read at grade level or above by third grade. Passes are sold at Eureka’s J.S. Merchant Shop, and single tickets are available at each showing.